Avoid loud colors – If you can’t decide on the color, choose something neutral, dark blue, or somber gray. Darker shades sometimes only work for certain architectural styles. 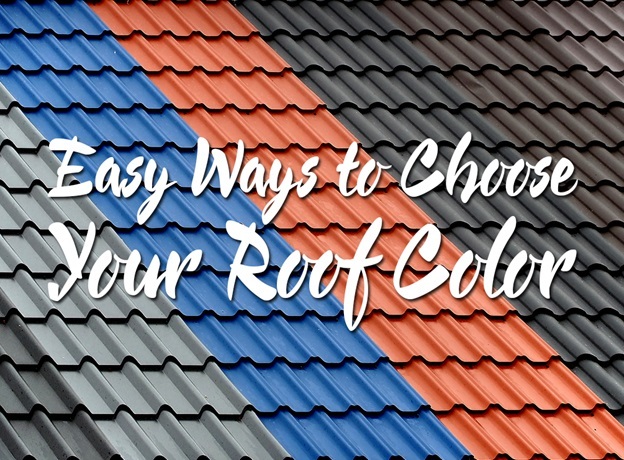 For example, Ranch styles look great with earthy brown shingles, while Mediterranean or Spanish architecture look best with red clay tile roofing. Consider permanent exterior components – Homeowners do not usually paint brick, stone, or masonry. This means that your color choice should match with these permanent components. We recommend choosing a brown roof for something analogous with the brickwork. You can also choose a contrasting color like blue. Choose a darker color than the body of your house – This allows some flexibility on the color choice, especially if you’re planning to replace or repaint the siding at the same time. Use complementary combinations like pale blue-green siding with a blue roof. You can also try something with more contrast, like cream white siding with dark brown Virginia roofing. Use online tools – The great thing about choosing your roofing is the availability of easy-to-use online tools to try different styles on. GAF, for instance, has their own Virtual Home Remodeler that lets users try on different color combinations for their roof, siding, and other exterior components. By using these tools, you also have the assurance that your exact chosen colors will be available. Let Peak Roofing Contractors help you choose the right color for your roofing in Northern Virginia. Call us today at (703) 745-5153 to request a free estimate. You can also reach us when you fill out our contact form.